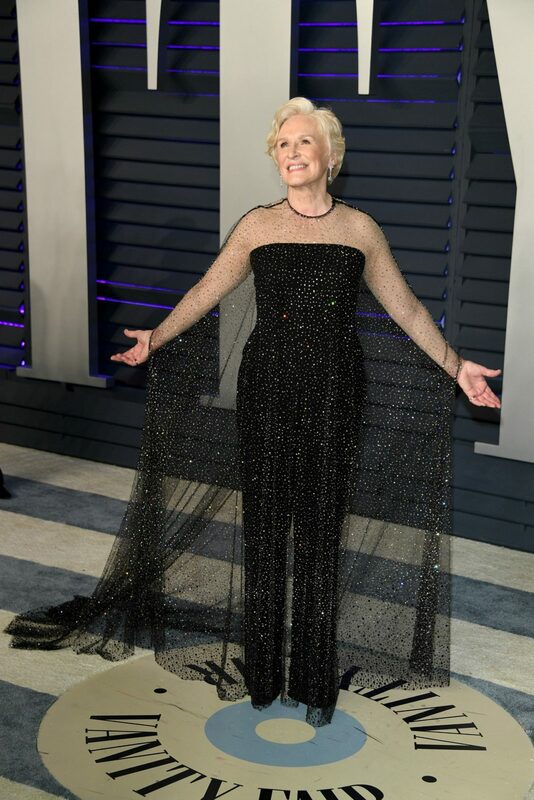 Glenn Close may not have won an Oscar at Sunday night’s Academy Awards, but the iconic actress stole the show at the Vanity Fair Oscar Party, as she stepped out in a glittering cape and black jumpsuit. The 71-year-old, who is known for her eclectic style, looked seriously cool as she posed on the red carpet in the chic ensemble by Italian luxury fashion house Armani, which included a sheer black layer encrusted with silver rhinestones. To finish off the standout look, Glenn wore her short blonde locks styled to the side and added subtle silver accessories. The screen star was joined by her actress daughter Annie Starke, who also appeared in her nominated film The Wife. Glenn was considered by many as the frontrunner in this year’s best actress category for her role in the hit film, which follows her journey as she begins to question her life choices and the sacrifices she has made for her husband throughout their relationship. The actress played the role of Joan, who is married to novelist Joe, played by Jonathan Pryce. The honour instead went to Olivia Colman for her performance in The Favourite. While Glenn is yet to win an Oscar, she has been nominated a total of seven times. She has been up for the Best Supporting Actress category award three times, for The World According to Garp (1982), The Big Chill (1983), and The Natural (1984). 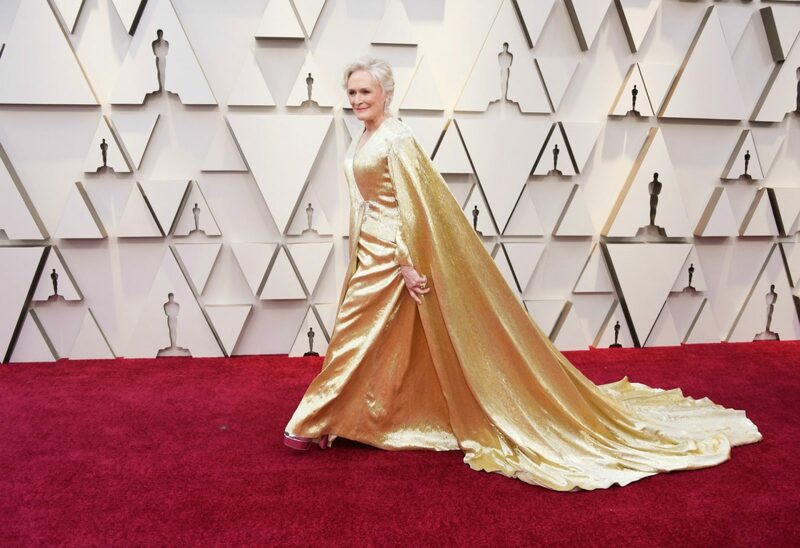 Meanwhile, earlier in the night, the actress made a stylish entrance in a glittering gold gown, which featured a dramatic cape that dragged along the floor behind her. The 71-year-old looked impeccable as she completed the look with a pair of 70’s style platform heels. With her blonde locks styled in the soft waves, Glenn looked every inch the leading lady as she stopped to have her photo taken. Are you a fan of Glenn Close? What do you think of her stylish after-party outfit? Have you seen The Wife yet?